Greetings, dear readers! I hope you've been having a wonderful week and have something fun planned for the weekend! This week has been a bunch of me attempting to play catchup on everything that fell to the wayside with my illness last week. I'm currently trying to juggle that delicate balance of getting stuff done while still not pushing myself too hard as I am still very much in recovery. My MUST NEEDS DONE NOW instinct is a tough one to fight, and I am truly my own worst enemy when it comes to that sort of thing. Thankfully, with the weekend just around the corner, I can (pretend to) rest some more and have a little more time to myself to get things done. Now if only I can stop the chatter and get in on today's blog post..... Let's do this! With a new month only a week away, it's time that I start sharing my posts for the upcoming March Polish Pickup! LynB Designs is going to be participating once again in this fabulous shopping experience, and the theme for March is Books! 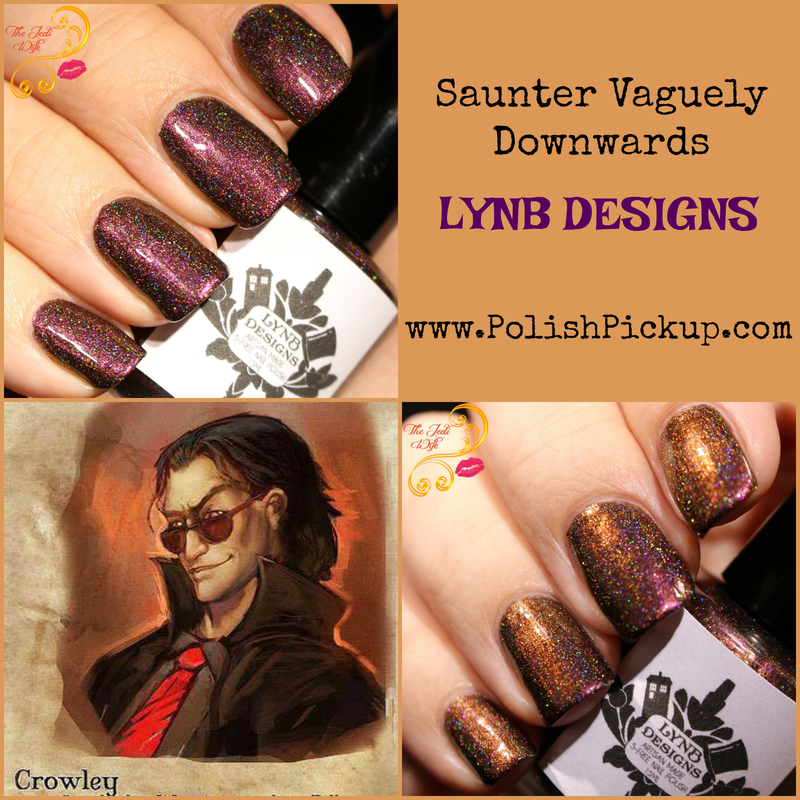 Jenna, the creative mastermind behind LynB Designs, was inspired by Crowley from Good Omens to create the stunning polish, Saunter Vaguely Downwards. Saunter Vaguely Downwards starts off with a black base that is loaded up with linear holographic particles. It is then filled with multichrome shimmer that shifts from red to orange to copper to violet. The final result is this glorious shifting beauty as shown above! Not too thick or thin for my taste, Saunter Vaguely Downwards has a great formula that gave me no issues during application. There was no dragging or balding areas of my nails, just a nice smooth coverage across my nail beds. While I used two coats for opacity for these photos, it was *thiclose* to being a one coater for me; those with short nails or those that tend to apply their polish in thicker coats may find they only need one coat for full opacity. Saunter Vaguely Downwards will be available for purchase from the Polish Pickup website only when the March shop opens from Friday March 2nd through Monday, March 5th. Please note this is the only time and location that this polish will be offered for sale. If you have your eye on it, be sure to pick it up during this window! Also, please note it is CAPPED at only 200 bottles, so you will want to be sure to shop early so you don't miss out! It will retail for $12 per bottle. As always, the Polish Pickup is open as a preorder during the shopping time frame. Please allow three weeks for preorders to ship out to you. 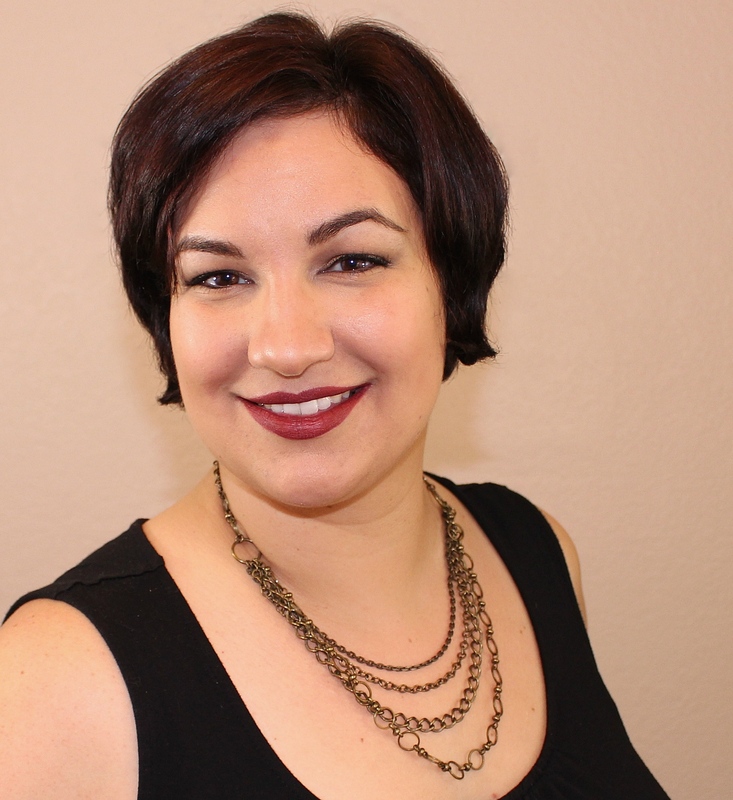 Are you excited about the latest Book theme? Will you be adding this beauty to your cart? I'd love to hear from you! Such a gorgeous color! I need to create my list for this month, but I'm waiting for all of them to be added to the swatch photos. Loving this shade. I just swatched this today and it is so beautiful! This is a stunner. I love the creativity of the polish makers. That is such a beautiful polish!!! I think it needs to find a home with me....gosh I'll probably forget to order it ... I never remember release dates.....but I'll be back! Wow the shift on this is beautiful. What a pretty color shift! This is right up my alley. I really like the shift in this color, very vampy! Hope you're feeling better. This is gorgeous - I love the plummy red to golden brown shift. I just checked out the Polish Pickup website and am awed by all the interpretations. KBShimmer's polish in particular makes me chuckle. What a shifty polish! I love it! That copper shift is amazing! You captured it so well too!! !